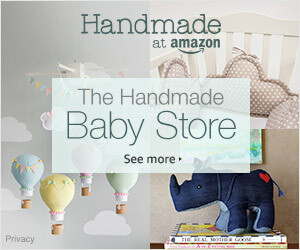 Handmade at Amazon (www.amazon.com/handmade), a store featuring genuinely handmade items crafted and sold directly from artisans, has introduced new product categories of handmade items including Accessories, Baby and Toys & Games. 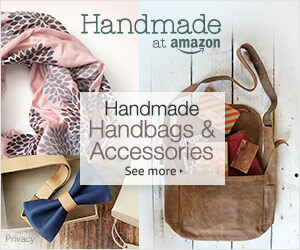 Handmade at Amazon was designed to provide customers and artisans a tailored store specifically for handcrafted items. To start, the new handmade product categories will offer more than 20,000 items sold directly from artisans. Accessories: To keep up with the latest summer fashion trends, customers can find Italian leather handbags, plaid zipper clutches and bow ties. Baby: For families or gift givers searching for baby-themed items with a personal story, check out floral bib/burp cloth gift sets, teething rings and boat shaped wooden toy box & kids seat. Toys & Games: For the little ones around the house and family fun, customers will enjoy wooden memory games, Dalmatian décor puzzles and felt tool set toys. 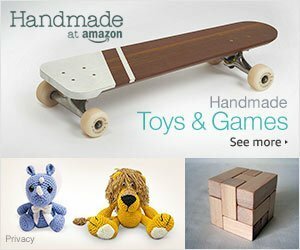 To explore products and view highlighted artisan videos on Handmade at Amazon, click here.